Sturbridge Black 12" Lamp Shade 12" Diameter at the bottom, 8-1/2" tall, and 6" across at the top. 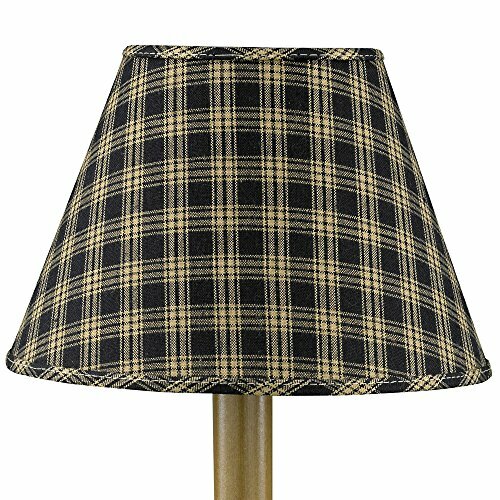 This is a washer style shade, for use with a finial style lamp.Color Shown: black, tan plaid. Priced and sold individually. Designed and manufactured by Park Designs. 12" Lampshade is 8-1/2" Tall, with a diameter at the bottom of 12" and at the top is 6".